We have done our fair share of movie premieres, but never for the biggest movie star of all time. 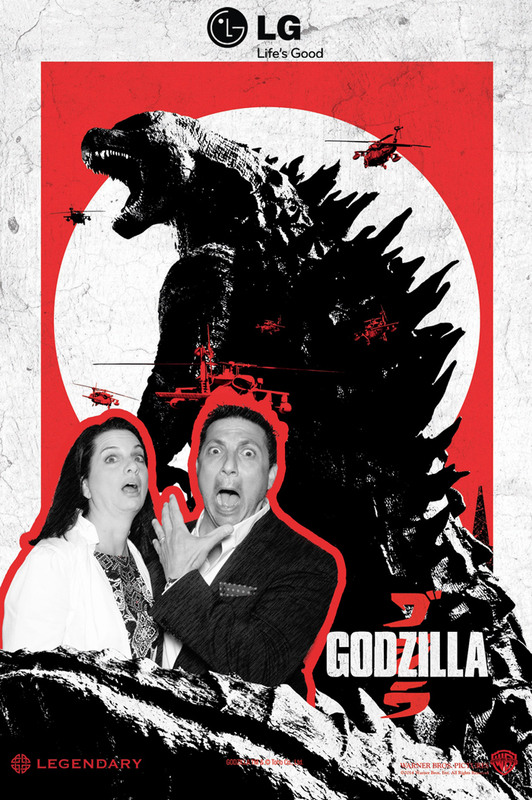 Our team in Los Angeles gave guests at the Godzilla premiere something a little special, a photo with the star of the show! Who wouldn’t want a picture with the king of monsters! We built a custom greenscreen for the photobooth that put people right in the action with the beast himself. Give us a call with your ideas for greenscreen photos large or small. We have done it all!